Single-Mindedly Brilliant: The Life of Fire Detective Thomas P. Brophy and his lasting legacy on the FDNY. He never married, had no hobbies, and often needed reminding just to eat. Thomas Patrick Brophy seemed to live for one thing: catching arsonists. Tirelessly stalking New York streets for leads, he would proceed to secure more arson convictions than any other investigator in the nation. So uncanny was his ability that he sometimes caught suspects trying to start the fire. 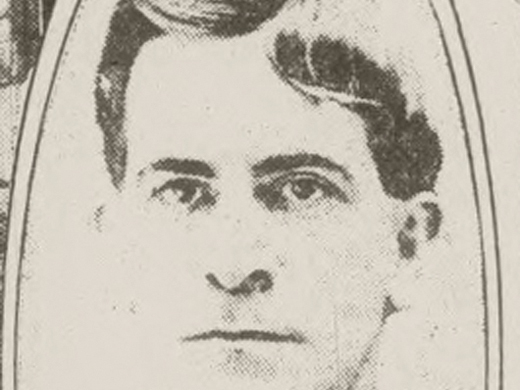 The son of a police lieutenant, Brophy was born in Brooklyn in 1880. As a young man, he worked as a newspaper reporter before joining the fire department in Brooklyn as a deputy fire marshal in 1907. 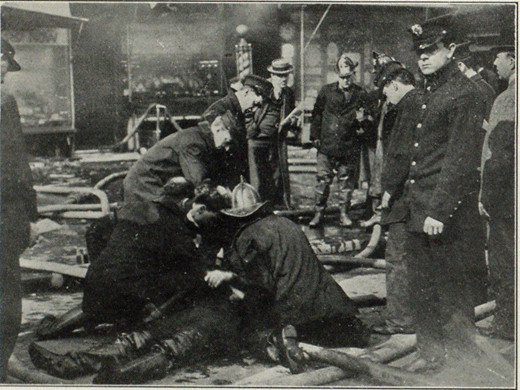 It was a time when the crime of arson “usually fell halfway between the Police and Fire Departments, and lay there indefinitely, unsolved,” as written by St. Clair McKelway, author of True Tales from the Annals of Crime and Rascality. Buying a motorcycle with his own money, Brophy would speed off to fires when the alarm came in and typically arrived before the fire engines. He spent his free time taking long walks and talking with people in various communities, trying to get a sense of anything suspicious taking place. His ability to catch professional arsonists surfaced almost immediately and saw him appointed as Brooklyn’s head fire marshal in 1910. Two years later, he garnered much public acclaim for foiling an arson plot that entailed burning horses for their insurance money. He had reached out to auctioneers and obtained the names of men who were making a habit of purchasing “worthless horses,” which an arsonist might use as substitutes for more valuable (and heavily-insured) horses. Among the names that surfaced, he discovered one individual who had no legitimate business. Brophy then shadowed this man, right until he lit the match. In 1915, Brophy became the chief fire marshal of all New York City. In fact, the very position had been created to accommodate his talents. The city also provided him with 28 deputies to assist his investigations. These deputies also assisted Brophy when he neglected to eat. Many times, they had to physically place him in a restaurant, order him a meal, and put the knife and fork in his hands. After putting in a 36-hour shift, he might indulge in six hours of sleep before returning to the office. Though he still had to rely on policemen to make a formal arrest, he essentially operated like a detective instead of a fireman. McKelway describes Brophy as a devout Catholic and “one of those Irishmen whose eyes glisten perceptibly” with the utterance of the words “mother” or “little child.” He pursued his life of ceaseless investigation with “a grim, almost morbid determination,” as opposed to a fiery zeal. He typically slept little and often spent the night hours prowling locations that were troubling him and jotting down observations in his trusty notebook. Aside from tracking down arsonists-for-hire, he maintained an index of 400 known pyromaniacs and many other suspected pyros from every borough. He had scant use for any psychoanalytic theories about their motives but regarded them as a “strange bunch” and felt they should serve time in asylums instead of prisons. When he caught these incendiary maniacs, he tended to treat them gently and feign admiration for their exploits so as to elicit a more detailed confession. Once, while observing a crowd watching a fire, Brophy decided that one spectator was suspicious. So he asked him for a match. When the man forcefully denied possessing matches, Brophy coaxed him into coming to his office, where a search of the man’s pockets turned up matches. Confronted with this simple lie, the suspect folded and confessed to having set multiple fires. Because arsonists – be they pros or pyros – often changed their locations, Brophy urged different investigative departments to exchange records of suspicious fires. On this topic, he wrote an article for the January 1922 edition of The National Police Journal. Brophy took information from whoever would give it to him, even if the tipsters belonged to the underworld. Such tips, in fact, once led him to set up surveillance from a church steeple and bust an arson gang trying to set a hotel ablaze, as related by the July 1933 issue of Popular Science Monthly. The same article points out how Brophy sometimes had to allow the fire to start in order to obtain enough evidence to secure a conviction. For example, he once let a fire ignite in a building where people slept, but he did so after making extensive preparations – such as 300 feet of firehose stashed inside a vegetable wagon and a crew of ace firemen disguised as streetcleaners – to extinguish any flames. When the two arsonists darted out the building’s front door, Brophy emerged to knock one unconscious with a “right to the jaw.” Sometimes, Brophy was the one who received physical punishment: He was injured at fires on several occasions and “had to wear steel braces on his back as a result of one accident,” according to F.D.N.Y. historian Gary Urbanowicz, writing for findagrave.com. Brophy lived in a Brooklyn brownstone residence with his mother and two sisters (his father was long since deceased). His few close friends were people he had known his whole life. Though clearly not much of an epicurean, he lightened up towards the end of his career and would treat himself to a few drinks during meals. He continued to serve as Chief Fire Marshal until 1948, when he left the F.D.N.Y. after more than four decades of service. In his semiretirement, he worked as an arson consultant for insurance companies. Other cities also sought his expertise on their major cases of fire. This is a great article. I have some info on Mr. Brophy. I’m trying to do a PBS story on him. This helps greatly. Thanks.